Take me out to the ballgame. Take me out with the crowd. Buy me some.....beer! That's right, the boys of summer (and spring and fall) are back to well manicured ball fields around the country. The air is filled with the glorious smells of hot dog vendors, the words "Beer Here", and the sound of composite metal bats. Wait, metal? That's right, metal bats still shape the landscape of much of America. And our newest feature happens to take place in Omaha, NE, aka the home of the College World Series. It is true that the Omaha area also supports a AAA baseball team but, when it comes to travel, the CWS is what draws in legions of folks from around the country and beyond. CWS is of one of the premier annual baseball events in the US. You may shake your head and say that it's only college baseball, but like I said this is an event. 2 weeks of celebrating baseball under the warm summer sun with an average yearly attendance above 330,000 makes Omaha a pilgrimage spot for fans of baseball. Put that together with tournaments that coincide with the CWS all over the city (and again that hot summer sun) and you have a lot of thirsty travelers. Good thing there is a brewery in Omaha that has a beer with a baseball bat on it for everyone. Let me introduce you to Nebraska Brewing Company. Nebraska Brewing Company is one of the first craft breweries to pop up in the Omaha area over the past decade. 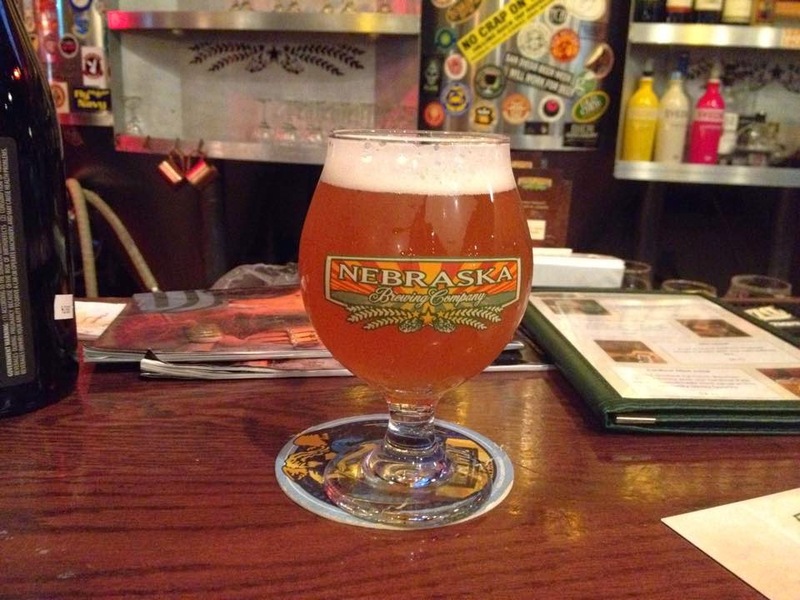 The original location for Nebraska Brewing Company is a brewpub, which opened in 2007. This location is still in full operation with a full menu, full bar, and test brewing operation for new ideas. The brewpub location is where all the magic began for the brewery. Like many of the breweries we visit, the founding of the Nebraska Brewing Company has it's roots in home brewing. When the home brew moved to a full functioning brewery the recipes blossomed into award winning beers for the brewery. When those awards started to tumble in and demand was out running supply, the Nebraska Brewing Company expanded to a second location. This location is a large production brewery with a fantastic tap room. It also gives the brewery more space to do what they do (in my opinion) better than anyone in the area, barrel age beers. One of the other positives that came from expanding into a larger facility was the ability for canning of beer, another first in the area. For baseball fans traveling for their CWS pilgrimage, canned craft beer makes for a much easier tailgate. So, in the name of research, I ventured out to both locations (CWS is right around the corner remember so there was no time to lose). First stop was the Nebraska Brewing Company Brewpub. Not only did the brewpub have many brews on tap, but they had great food as well. But food was so last week, I was here for the beer. The first beer I tucked in to was the HopAnomaly, a crossbreed Tripel/WC IPA. Side note- I am very excited that Tripels are making their way on to the American craft beer scene. My HopAnomaly was a big beer (high ABV, heavy hops) but yet very fun to drink. There was a lot of fruit in the aroma and taste, with the ever popular grapefruit making an appearance along with some sweet fruit as well. For a big beer, HopAnomaly was a smooth easy drink. This beer is only available on tap, but that's ok because when you hit Omaha you want to find the brewery anyway. Next up was the flagship brew at Nebraska Brewing Company, the Cardinal Pale Ale. Clean, clear and crisp...those are the ways to describe this American Pale Ale. The Cardinal Pale has a little more hop bitterness than some American Pales out there, but don't be scared off. This was another refreshing ale and is a great start to your craft beer education. This brew is a multi-award winning ale and is available in cans for your tailgate! I still suggest a brewery stop as well as tailgating with cans, because everything tastes great surrounded by large fermenters. Drink the Saison, seriously go get one now! After hitting the brewpub, I needed to (again in the name of research) hit the Nebraska Brewing Company Tap Room as well. One of my main reasons for that was to try the award winning barrel aged brews on tap (they are available at the brewpub, but only in 750 ml bottles). My first choice was the Apricot Au Poivre Saison (I'm a giant Farmhouse Ale fan). Like other saisons this one had a great fruit start with the added flavor of apricot (obviously) and a "spicy" finish, but it was also a little juiced up. Many saisons/farmhouse ales are on the lower end of alcohol content, but the Nebraska Brewing Company Saison is not light at all. It's a smooth beer that I would almost put into the Grand Cru category (because Grand Cru really is just a jump started Belgian Ale). The barrel aging surely gives this ale a jump start. Find this beer and drink this beer, that's an order. I saved the best for last. I've had many stouts in my life and liked many of those for one flavor or another. I am here today to claim that I have now found my favorite overall Imperial Stout. Shut the door and leave your keys on the floor, because the Black Betty Russian Imperial Stout barrel aged in whiskey barrels is the best in show. I may have hugged the guy in the Taco Bell drive thru (Happy Cinco de Mayo?) after I was done and told him my tale. The combination of chocolate and coffee notes along with the subtle whiskey sweetness makes me thirsty right now. There were hops in there, but they just blended with the malt and didn't overpower anything. I wanted to spoon up the head on this stout. It is a must drink beer, stout fan or not. I had 4, come try those and many more! Obviously Nebraska Brewing Company has a bigger lineup than those 4, but I'll let you tap the rest when you get to Omaha. If you're coming for the Greatest Show on Dirt (CWS), head out to one of the 2 brewery locations in between games, because you can't get a beer in TD Ameritrade Park for CWS games. If you are coming to Omaha for the AAA All-Star game, you're in luck because Ale Storm (another Nebraska Brewing Company brew) is available at Werner Park, home of the Stormchasers and the AAA All-Star game. If you are headed to Omaha this summer for any other reason but baseball (there are other reasons but who doesn't love baseball), find these beers. You'll have another reason to come back to Omaha after you've tried them.